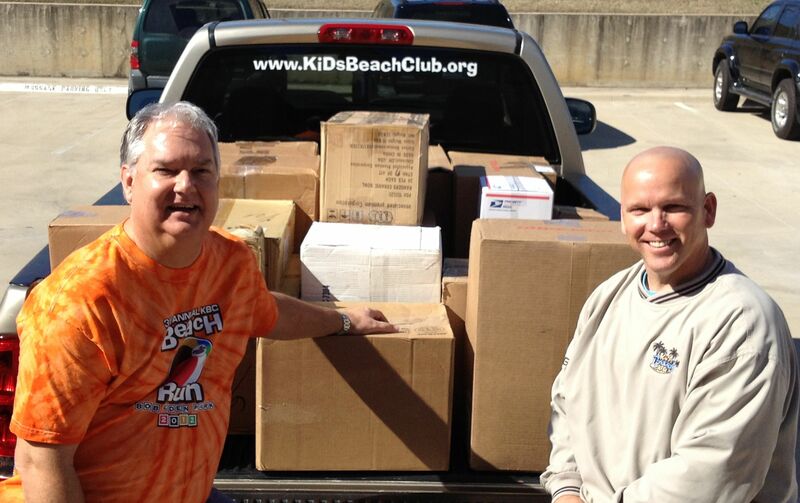 At the end of January, Jack Terrell, Founder and President of KiDs Beach Club®, was in Orlando, Florida meeting with a new church partner, First Baptist Orlando. He also visited area schools in preparation for the launch of Beach Clubs in the Orange County Public Schools. As Jack visited with Dr. Eric Cantrell, Principal of Pineloch Elementary, he learned that their school was really struggling with resources, as do many schools in urban settings. Dr. Cantrell shared that his teachers spend a large portion of their own money to buy much needed supplies for their students. Along with leading children to Jesus, Jack has a strong desire to encourage teachers and school administrative staff. These men and women pour their lives into our children day after day and KiDs Beach Club® wants to support them in their efforts. Jack’s heart was burdened then and there for Pineloch and he told Dr. Cantrell, with full faith and confidence in God, that KiDs Beach Club® would help. “I didn’t know how, when, or with what,” Jack thought to himself, but “I did know that I serve a big God and He would provide,” Jack said. He left that meeting asking the Lord to show him how KBC could help. Back in Texas, Jack got a call from Scott Sheppard, a friend in ministry from 6 Stones, asking him to run an errand with him to pick up what was supposed to be some extra backpacks from a community service event. When they arrived at the Texas Rangers Youth Ballpark in Arlington, TX, there were actually racks full of school supplies. Jack knew right then that God was about to provide for Pineloch. Jack asked Molly Lee, the community service representative, about all those supplies and to his delight she said they were free for the taking. 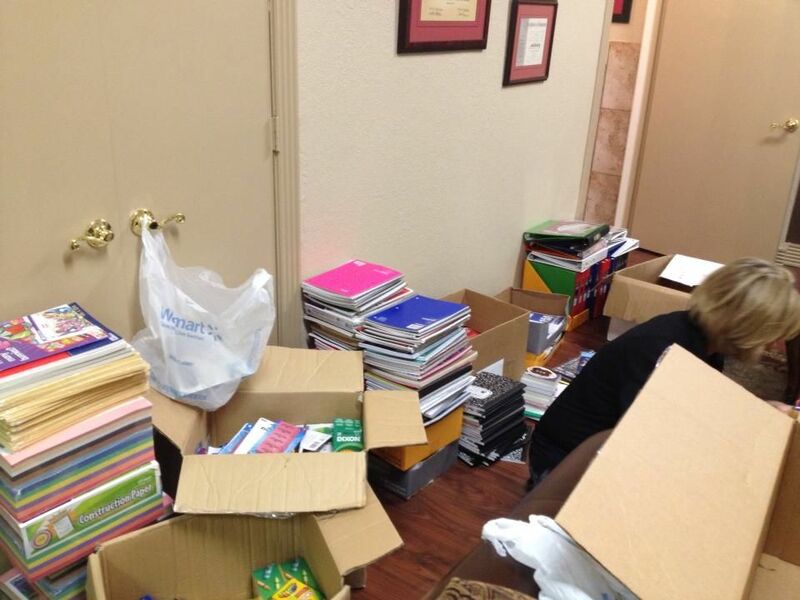 So they began loading box after box of crayons, pencils, notebooks, binders, glue, scissors, construction paper and more. Four days later those supplies were sorted, re-boxed and palletized for shipping. And to top things off, a financial gift was received at the same time with a memo stating to “use where most needed” for the exact amount of the shipping cost. God was clearly at work putting together all the pieces to meet this need. Pineloch was amazed and incredibly encouraged when they received the shipment. Valerie Plowdeniz, the school’s Guidance Counselor, called Jack and was overwhelmed with emotion. Ann Douglas, Curriculum Compliance Teacher at Pineloch, wrote in an email, “Thank you again. You are wonderful and your organization is going to reach, transform, and impact our kids for life. The teachers are ecstatic! Pineloch is truly thankful for your enormous contribution.” As the teachers went through the boxes they were overwhelmed with all the supplies and they enjoyed finding fun notes that Michelle Davidson, KBC’s National Leadership Development Manager, had slipped into each box. Click here to contact us about how to start your school or church in the process of doing a Beach Club.